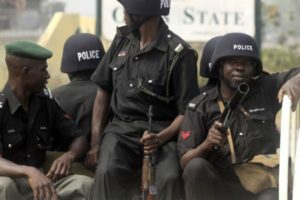 Ogun State Police Command on Wednesday arraigned two staff members of the Living Faith Church (Winners Chapel), Canaanland in Ota, Afolabi Samuel, 46, and Blessing Kolawole, 39, in an Ota Magistrates ‘Court for allegedly stealing N38 million. The Prosecutor, Sergeant Abdulkareem Mustapha, told the court that the accused persons committed the offence between Dec. 1 and Dec. 15, 2018, at about 10 a.m. at the Living Faith Church, Canaanland, Ota. He adjourned the case until February 20 for further hearing. This entry was posted in Christianity, Crime, News and tagged Fraud, Winner Chapel. Bookmark the permalink.